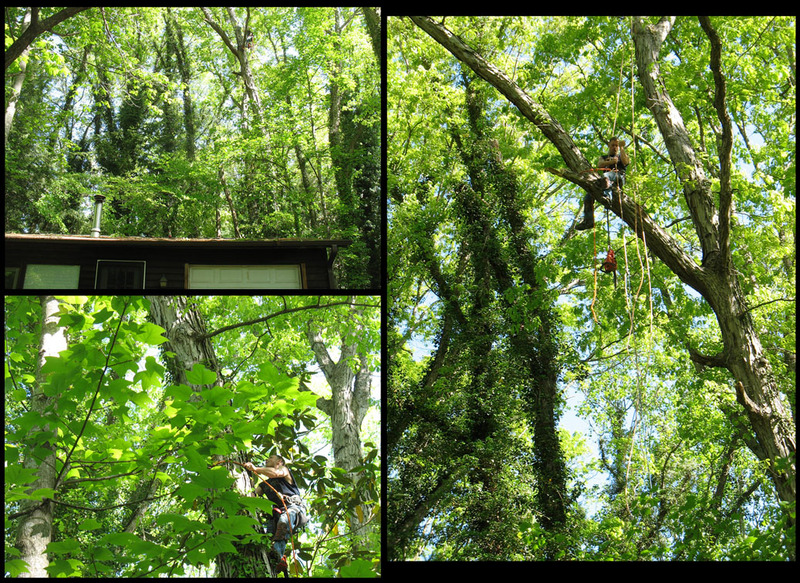 Men are here trimming the trees that loom over the house and drop limbs through the roof. I can’t see what’s happening, only the one in the front holding the long rope. And I hear feet on the roof. A chain saw. A few limbs being dragged out to the curb. the house and drop limbs through the roof. in the front holding the long rope. And I hear feet on the roof. A few limbs being dragged out to the curb.